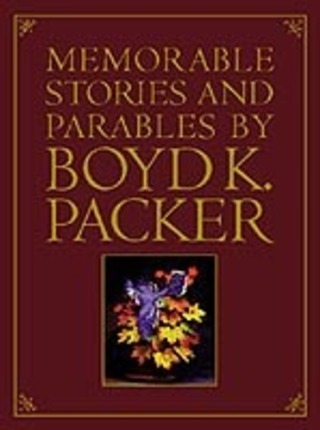 byBoyd K. Packer, excerpted from "Memorable Stories and Parables By Boyd K. Packer"
The following is an excerpt from Memorable Stories and Parables by Boyd K. Packer. A few days ago I visited a large automobile dealership, where I looked at many new automobiles. One in particular caught my eye--a convertible, sports model, with all of the fancy equipment you could imagine. It had push-button everything, and more horsepower than a division of cavalry. How I would have enjoyed a car like that when I was in high school! It occurred to me that you might be interested in owning such a car. Do you have an imagination? Imagine with me that I am your benefactor; that I have decided to present to a typical teenager a car such as this, and you are the one who has been chosen. On the evening of the presentation I see that you are not quite financially able to run such a car, so I generously include free gas, oil, maintenance, tires, anything your car would use--all of this, and the bills would come to me. How you will enjoy that car! Think of driving it to school tomorrow. Think of all the new friends you would suddenly acquire. Now, your parents may be hesitant to let you use this car freely, so I will visit with them. I am sure they will be reluctant, but let us say that because of my position as one of the leaders of the Church they will consent. Let us imagine, then, that you have your car, everything to run it, freedom to use it. Suppose that one evening you are invited to attend a Church social. "There are just enough of you to ride in my station wagon," your teacher says. "You may leave your car home." When you come home that evening you notice that your car is not at the curb. "Dear old Dad," you muse, "always willing to help out." But as the station wagon pulls into the driveway and the lights flash into the garage, you see it is empty. You rush into the house, find your father, and ask that very urgent question. "Oh, I loaned it to someone," he responds. "Oh, that boy who comes by here regularly." "Oh, that boy . . . Well, I have seen him pass here several times on his bicycle." "I'm afraid I didn't find out." "Well, where did he take the car?" "That really wasn't made clear." "Well, when will he bring it back?" "There really wasn't an agreement on that." Then suppose that your father should say to you, with some impatience, "Now, just calm down. He rushed in here. He needed a car. You weren't using it. He seemed to be in a frantic hurry over something, and he looked like an honest boy, so I gave him the keys. Now, relax, and go to bed. Calm down." I suppose that under the circumstances you would look at your father with that puzzled expression and wonder if some important connection in his thinking mechanism had slipped loose. It would take a foolish father to loan such an expensive piece of equipment on an arrangement such as that. Particularly one that belonged to you. I am sure that you have anticipated the moral of this little illustration, you of high school age. It is in these years that dating begins; this custom of two sets of parents loaning their teenagers to one another for the necessary and the important purpose of their finding their way into maturity, and eventually into marriage. Perhaps for the first time you notice, and you begin to resent, the interest of your parents in and their supervision of your activities. Dating leads to marriage. Marriage is a sacred religious covenant, and in its most exalted expression it may be an eternal covenant. Whatever preparation relates to marriage, whether it be personal or social, concerns us as members of the Church. Now, I speak very plainly to you, my young friends. If you are old enough to date, you are old enough to know that your parents have not only the right but the sacred obligation, and they are under counsel from leaders of the Church, to concern themselves with your dating habits. If you are mature enough to date, you are mature enough to accept without childish, juvenile argument their authority as parents to set rules of conduct for you. No sensible father would loan your new convertible to anybody, to go anyplace, to do anything, to come back anytime. If you are old enough to date, you are old enough to see the very foolishness of parents who would loan their children on any such arrangement. Don't ask your parents to permit you--you, their most precious possession--to go out dating on such flimsy agreements. Actually the loan of the car would not be as serious as you suppose, for should it be destroyed completely, it could be replaced. But there are some problems and some hazards with dating for which there is no such fortunate solution. When you are old enough you ought to start dating. It is good for young men and women to learn to know and to appreciate one another. It is good for you to go to games and dances and picnics, to do all of the young things. We encourage our young people to date. We encourage you to set high standards of dating. When are you old enough? Maturity may vary from individual to individual, but we are rather of the conviction that dating should not even begin until you are well into your teens. And then, ideal dating is on a group basis. None of this steady dancing, steady dating routine. Steady dating is courtship, and surely the beginning of courtship ought to be delayed until you are almost out of your teens. Dating should not be premature. You should appreciate your parents if they see to that. Dating should not be without supervision, and you should appreciate parents who see to that. Be open with your parents. Communicate with them. Discuss your problems with them. Have prayer with them before a dating event. Stay in group activities. Don't pair off. Avoid steady dating. 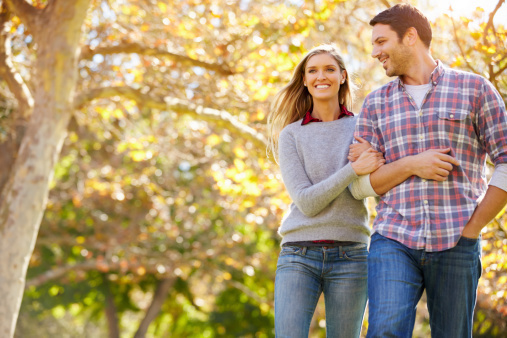 The right time to begin a courtship is when you have emerged from your teens. Heed the counsels from your bishop, from your priesthood and auxiliary teachers, from your seminary teacher.